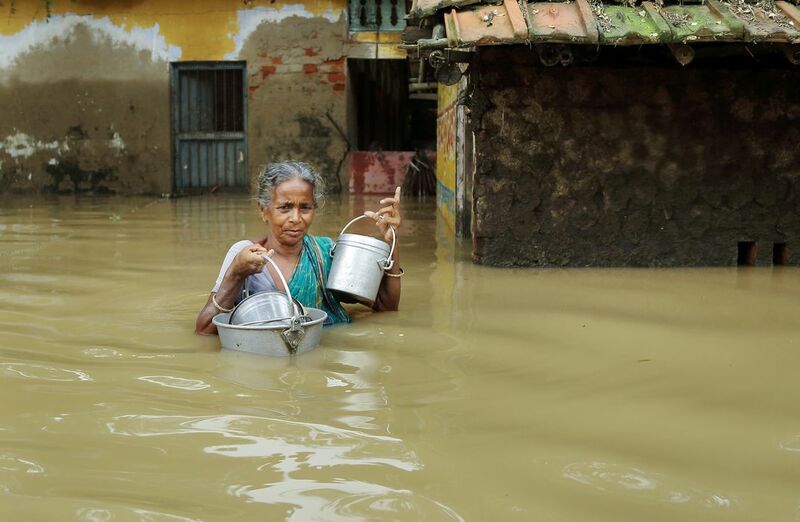 An old woman is looking for drinking water during flood situation.Drinking water is the major necessity for livelihood. Water can be easily contaminated with poisonous not drinkable water which can lead to fatal & causality. Date Uploaded: Aug. 17, 2017, 1:04 p.m.